Xpressions is a free service that lets users receive messages from their school. 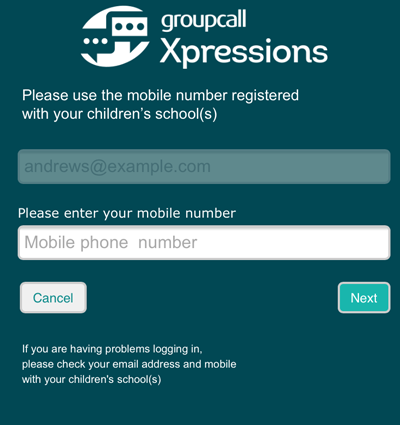 Schools can also allow parents to get in touch (for free) via Xpressions if they wish to do so. Users can access their account either via the app or from the website. The app is available to download from the iOS App Store and Google Play Store. Ensure that users are running an up to date operating system on your mobile device. 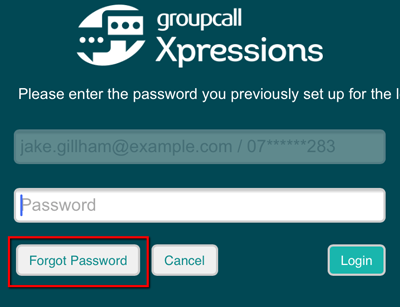 All users can also access their Xpressions accounts via the website: xpressions.groupcall.com from an up to date internet browser. If your school doesn’t use Xpressions but you’d like to find out more, click here. 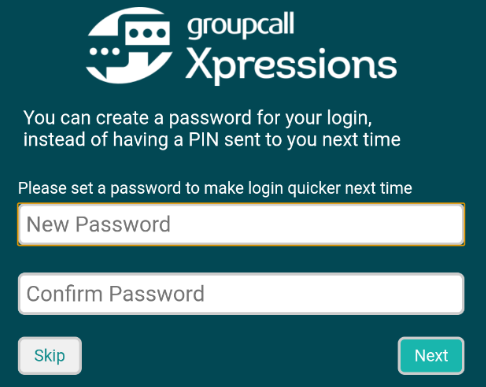 Parents can set their Xpressions account up in a matter of minutes. All they need is their email address and mobile number. This must be the same as the information that is stored for them in your school’s MIS. For more information on how to ensure your school data is accurate, click here. 1) Parents need to enter the email address your school has stored for them. They will then need to tap Next. 2) Parents will also be asked to enter their mobile number and then click next. This needs to be the mobile number that your school has stored for them in the Mobile number field in your MIS. 3) Parents will receive a 6 digit code via SMS (text message). They will need to enter this code on screen and tap Login. a. If parents have any difficulty receiving a code after a short period of time, they will see the option to Resend Code. b. Should parents continue to experience any difficulty, ensure the email and mobile number they are trying to use is correct as per your MIS data. For more information, click here. c. If parents continue to have difficulty with Xpressions, please direct them to contact the dedicated Parent Support team at Groupcall: parents.groupcall.com. 4) On the next screen, parents will need to create a password. For tips on how to create a strong password, click here. 5) Parents will be asked to set a 4 digit passcode. It is strongly recommended to complete this step so that parents can stay logged into the app while ensuring their accounts remain secure. a. If parents think that their passcode has been compromised they can log out of the app completely. Upon logging back in, they can set a new 4 digit passcode. 6) If parents log out of the app, they will be asked enter a new passcode upon logging in (with their email and password). a. If parents have a fingerprint authentication feature on their mobile device, they can use this in place of a passcode. Parents can enable fingerprint authentication via their phone’s settings area. Top Tip: Remind parents that they can close the app without needing to log out. Where possible, it is encourage that parents stay logged in to ensure that they continue to receive push notifications whenever your school sends them an Xpression. Setting a 4 digit passcode ensures accounts remain secure without needing to log out. The setup process is almost identical if parents choose to use the website instead of the app. The main difference is that parents won’t be asked to set a 4 digit passcode before they get logged in. 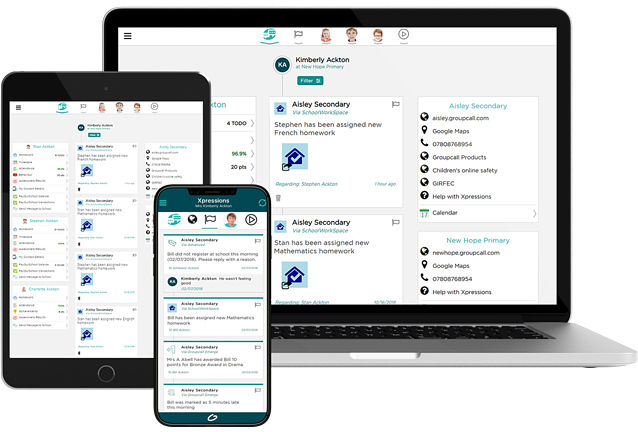 1) To set up a parent account via the website, parents need to visit groupcall.com. 2) Click Login to display the email field. 3) From the right, the parent needs to enter the email address stored for them in the school’s MIS, then click Next. 4) Parents will then need to enter the mobile number stored for them in your school’s MIS. Then click Next. 5) Once they have received their 6 digit code, enter this on the page and click Login. 6) Parents will then be asked to create a password. For tips on how to create a strong password, click here. Parents should be strongly encouraged to stay logged into their Xpressions app in order to receive push notifications when the school sends messages and to make the most of Xpressions. If parents do need to log out of their app, they can follow the steps below to get logged back in. 1) If a parent logs out of their Xpressions app from their mobile device, Xpressions will remember their email address. Parents will just need to re-enter their mobile number and then password. 2) If parents have deleted the app for troubleshooting purposes, they will be required to re-enter both their email and mobile number and then enter the password they previously set. 1) If parents are logging in on a computer that they have previously used for Xpressions, their email address will be remembered. They will then need to re-enter their mobile number as well as the password previously set. If parents have forgotten their password, they can use the password reset feature from either the app or the website. 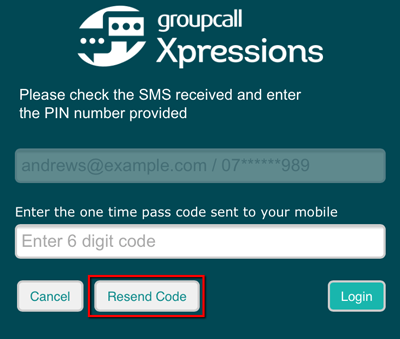 1) Parents need to either open the app or visit xpressions.groupcall.com and enter their email address and mobile number (as per your school’s MIS data). If they have previously logged in on the device, they will just need to enter their mobile number and then click or tap Next. 2) Parents will then need to select Forgot Password. 3) A 6 digit code will be texted to the parent. They need to enter this code into the box provided on the next page. Then click Login. a. If parents don’t receive a code after a short period of time, tap Resend Code from the same screen. 4) Parents will need to enter and confirm a new password, then tap Next. 5) If parents are using the website, they will now be logged back into their account. Alternatively, if they getting logged back in via the app, parents will be asked to enter a 4 digit passcode. 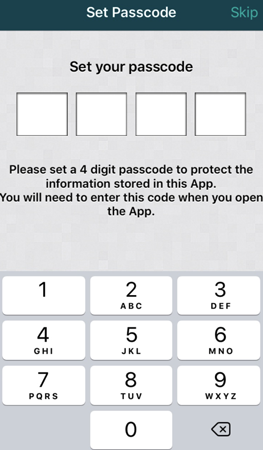 This passcode will allow parents to stay logged in securely. Top Tip: Any changes made to your MIS data can take up to 48 hours to be reflected in Xpressions. If parents continue to experience any difficulty getting logged back into their account, ask them to contact the dedicated Parent support team by visiting parents.groupcall.com.